The public is invited to an Open House at the Belington Medical Clinic from 5:00 – 7:00 p.m. on Thursday, July 13th. The Open House is one of several “After Hours” opportunities sponsored by the Barbour County Chamber of Commerce. 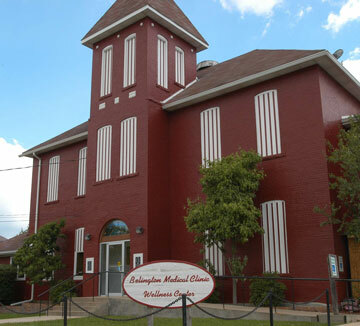 The Belington Medical Clinic is just one of the medical facilities operated by the new Barbour Community Health Association, and is located at 210 Sturmer Street in Belington, Telephone (304) 823-2800. Eric Ruf, the Chief Executive Officer of the association, also serves as Treasurer of the West Virginia Primary Care Association. The Belington Medical Clinic hosts several activities and programs, including a fitness room, hydrotherapy pool, and Silver Sneaker program, in addition to providing primary health care, Medicare visits, geriatric and pediatric health care, well-child exams, health education, and health insurance counseling. Open House at the Belington Clinic is intended to offer the public a chance to “meet and greet”, tour the clinic facilities, and meet the medical staff. Refreshments will be served. No reservations are required.